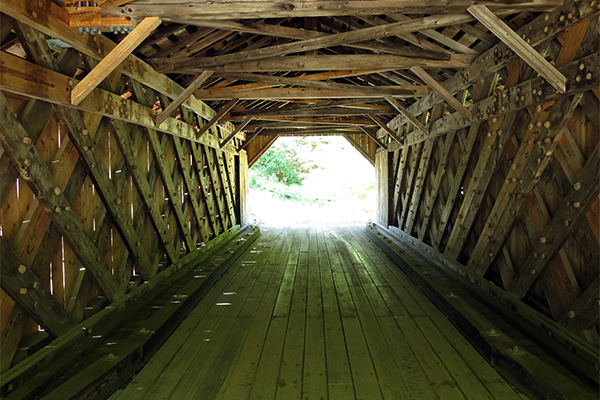 The Creamery Bridge, or West Hill Bridge, as it is often called, is a covered bridge of the lattice-design spanning West Hill Brook in the town of Montgomery. It is one of seven covered bridges located in the town of Montgomery, considered by many to be the covered bridge capital of Vermont. 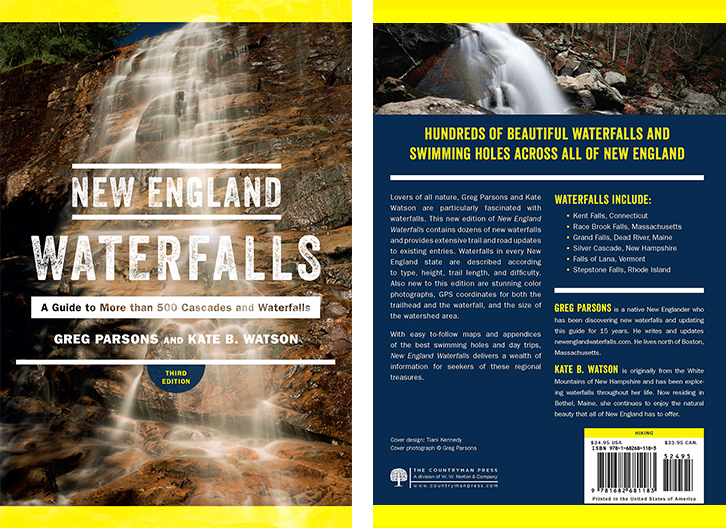 While there are over one-hundred covered bridges in the state, only a small handful have waterfalls below them. 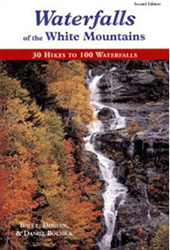 Crystal Falls is a 15-foot drop that begins its decent starting just below the bridge. Starting as a stretch of slides and cascades falling at an angle of about 45 degrees, the falls first takes on the appearance of a thick blanket, before dropping the final few feet as a sliding cascade. 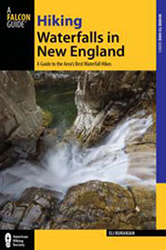 Many guidebooks are currently available for sale on the covered bridges of Vermont and the rest of New England if you have a passion for these historical treasures. 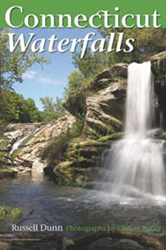 If you enjoy the combination of covered bridges and waterfalls, be sure to check out Covered Bridge Falls of Vermont and Swiftwater Falls of Bath, New Hampshire. These are two other similar special places. 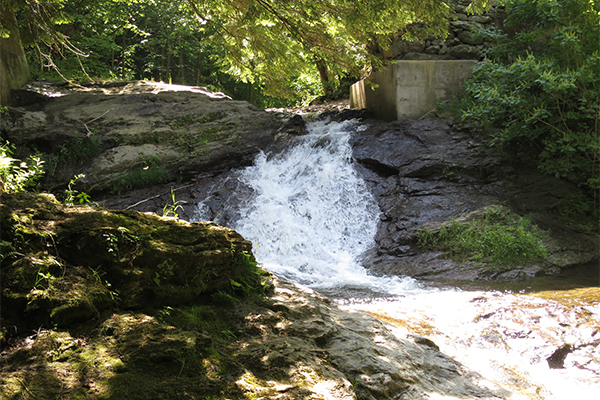 The falls begin only a few feet downstream from the covered bridge. 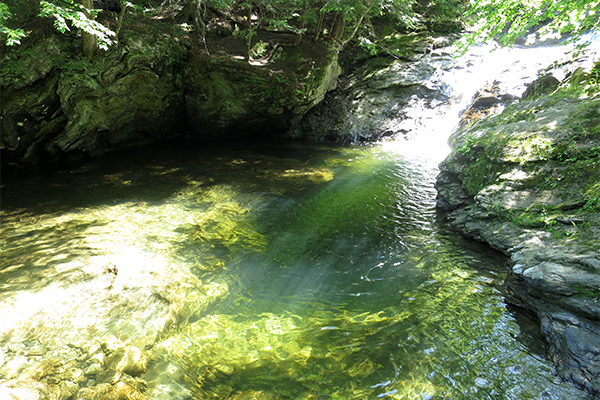 The easiest way to the base of the falls is by heading downstream with the brook on your left. 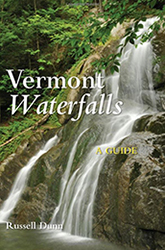 Downstream of the falls is West Hill Brook Falls, although its exact location is unknown and there's a strong chance it lies on private property. 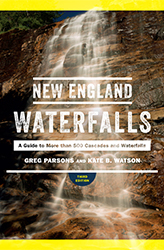 If you do go searching for this second set of falls, please respect any private property restrictions that you encounter. From the junction of VT 118, VT 58, and VT 242 in Montgomery Center, take VT 118 north for 2.9 miles to a left onto West Hill Rd. Another road nearby, Hill West Rd, should not be confused with West Hill Rd. Follow West Hill Rd for 2.6 miles to a left onto Creamery Bridge Rd, which is currently an unmarked road. Take this road for 0.6 mile and the parking area will be on your left 100 feet before the road passes through a covered bridge. There is also a parking area on the left after the bridge, but low clearance vehicles may struggle to pull into it. To get to Montgomery Center, take VT 105 west from Newport to VT 100 south to VT 58 west. As a note of caution, be aware that VT 58 is a seasonal road and is typically closed from late fall to early spring.